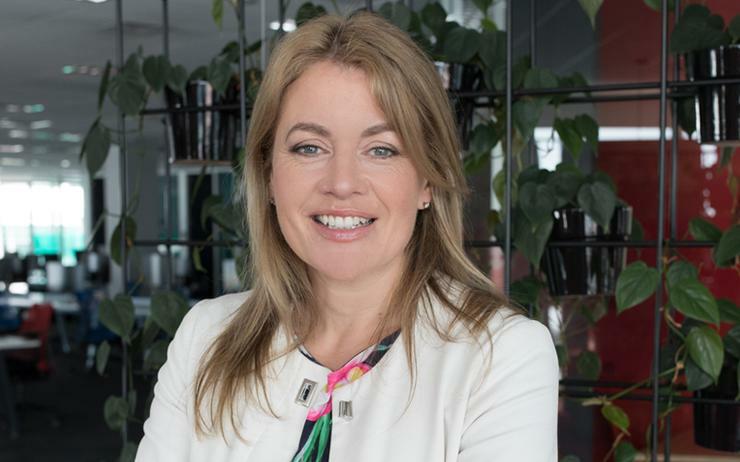 Microsoft has appointed Sarah Bowden as new director of commercial and partner business in New Zealand, replacing the outgoing Phil Goldie. Reseller News can exclusively reveal that Bowden commences the new role effective 1 April, assuming control of the country’s largest channel ecosystem in the process, housing more than 1200 major Kiwi partners. In the new role, Bowden is tasked with building new relationships with partners across the country, while managing existing alliances and driving growth across services and platforms such as Azure, Office 365 and Dynamics 365. Bowden replaces the departing Goldie, who will return to the Microsoft channel in Australia, assuming a senior role running small, medium and corporate business (SMC) effective 1 April. “My focus now is building on our successes today, looking at how we go faster in developing and deploying new products and go deeper to find solutions that have real relevance to our customers,” Bowden told Reseller News. Since joining the vendor in 2010, Bowden has held management roles across public sector and Dynamics divisions, in addition to SMC responsibilities. “The past eight and a half years have been an amazing journey for me,” Bowden added. “During this time I’ve learnt so much about myself, our people, customers, partners and solutions. Speaking to Reseller News from company headquarters in Auckland, Bowden said implementing the new SMC business model in New Zealand was a standout highlight in a career spanning almost a decade at Microsoft. “When I joined Microsoft we had one team working with our customers and a separate team working alongside our partners, but under the One Commercial Partner model we have greater alignment and synergy through our channel managers and partner marketing advisors,” Bowden explained. According to Barrie Sheers - managing director of Microsoft New Zealand - Bowden had “made an impression from the first”. “I distinctly remember meeting Sarah for the first time and being super impressed with her energy, infectious enthusiasm, professionalism and sheer exuberance for her role,” Sheers said. Bowden inherits a ecosystem in New Zealand moving at pace towards the deployment of specialised customer solutions, triggered by the roll-out of OCP, which landed in market 21 months ago. “We’re seeing success in the build-with team, working with partners to get them ready for market in terms of a solution that is co-sell ready,” Bowden explained. “Once a partner is co-sell ready, then our go-to-market team can invest in marketing funds, partner co-funds and launch campaigns such as digital or events. Bowden said the timeframe for being “co-sell ready” is dependent on the partner and the complexity of the solution, outlining that in some cases, a three-to-six week timeframe is achievable. Understandably, OCP - billed by many as the most fundamental change to the Microsoft channel - is evolving a pace in New Zealand, as the channel grasps the potential of creating new routes to market through co-selling. Case in point being Auckland-based Lancom Technology, recently co-sell ready through app modernisation. “The model has taken a while to bed in because OCP is new for Microsoft and new for partners but we’re really seeing the benefits of the change in New Zealand, especially during the past 4-5 months,” Bowden added. “We’ve got partners knocking on the door asking to go-to-market with Microsoft and having partner sellers aligned to Microsoft sellers represents a strong combination. Key benefits for partners, according to Bowden, are centred around increased visibility of core focus areas for Microsoft, alongside the ability to jointly serve up solutions to customers. “This approach is speeding up the sales cycle and also creating a consistent message to customers rather than the disjointed nature of our sellers saying one message, and partners saying another - it’s bringing partner IP together with our solutions to drive success,” Bowden added. As reported by Reseller News, more than 7500 new partners are joining the global Microsoft ecosystem on a monthly basis, driven by increased co-selling through the channel. “If you look at how many ISVs exist in New Zealand versus the rest of Asia Pacific, we have a big number in relation to our population and size,” added Bowden, in reference to an emerging area of focus for the vendor. “This helps attract more ISVs and we’re seeing partners with more than one ISV solution realising a market opportunity to create another. We’re not at the stage in which we’ve touched every ISV in the market, if anything, there’s more and more bubbling up. Due to the attractiveness of the New Zealand market, and the ecosystem housed within it, Bowden said Microsoft is well positioned to complement and service the emerging ISVs across the country, while also helping drive business growth. “We’re also seeing data becoming key,” Bowden said. “We’re seeing this become one of the biggest opportunities in the market as customers try to figure out how they remain relevant, but also, what they need to do to remain relevant. Reseller News understands that recruitment is now underway for a new small, medium and corporate business lead in New Zealand to replace Bowden.